I’ve been working on some shelving for the family room downstairs. As a woodworker I could not settle for those metal brackets at the local big box store. Instead I chose to make my own brackets. I did use lumber from what I could find at the local big box store. However, I had to spend a fair amount of time finding some decent boards. The next thing was to decide how to make the brackets. My wife had some photos from a recent magazine article that I thought I would try to duplicate. 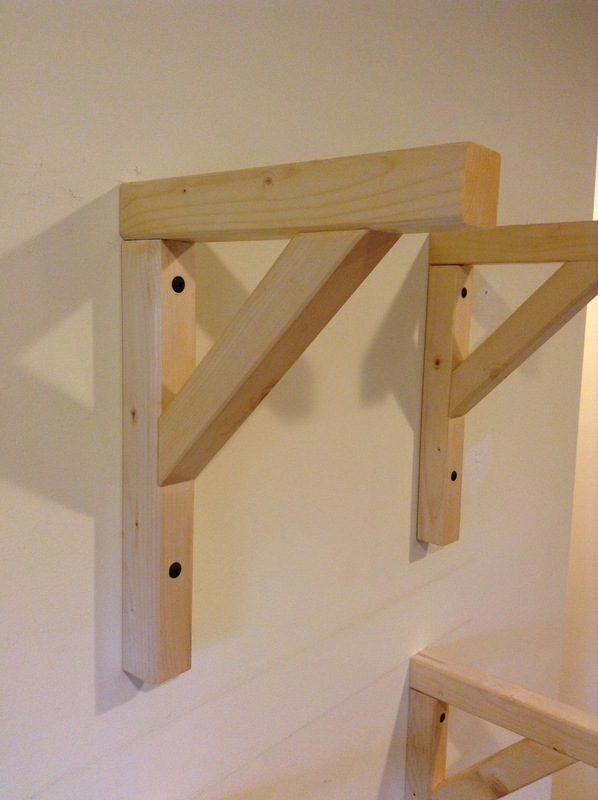 I ended up with some chunky, large brackets which definitely should be able to support the shelves. I joined the two major parts of the brackets with a bridal joint using an English mortising chisel and tenon saw. After some careful measuring I cut the angle piece cutting 45° on each end and setting them into place. 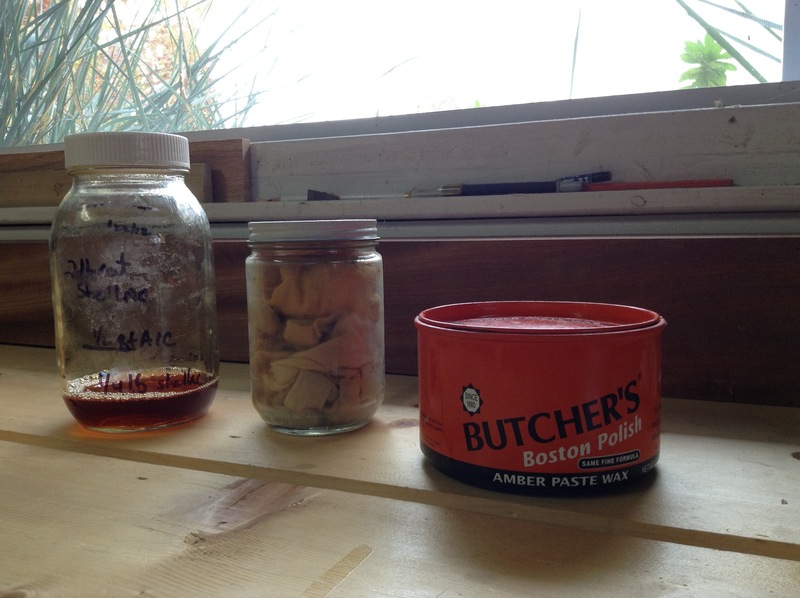 I then glued them up and set them to the side so I could work on the shelves. I just had to do some final finish planing with my # 4 smoother. After that it was on to final finishing with some home-made shellac. Each piece took three coats of shellac smoothed to a high-gloss, then coated with paste wax and smoothed once again. I joined the brackets to the studs with 2 1/2 inch cabinet screws. 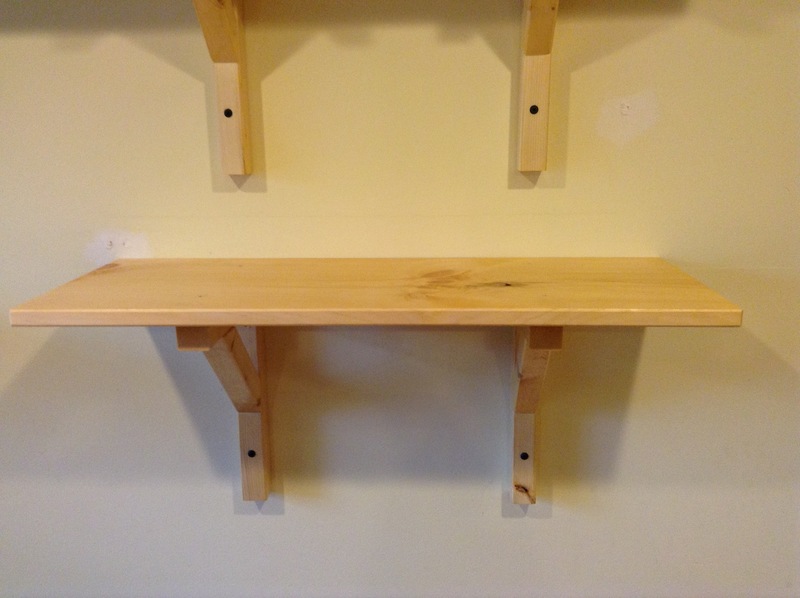 The shelves were joined to the brackets using 1 1/2″ cut finish nails. 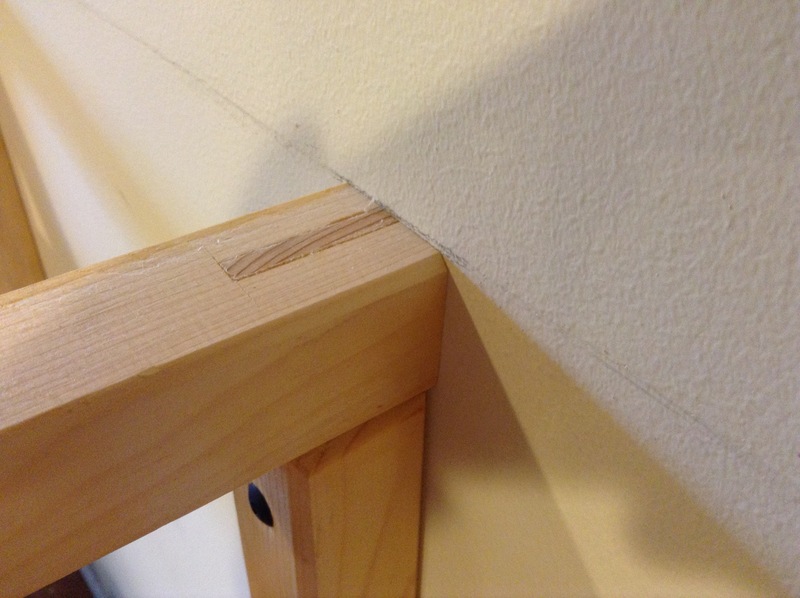 This entry was posted in hand tools, Shelving, woodworking and tagged hand tools, shelving, woodworking by villagecustomfurniture. Bookmark the permalink.